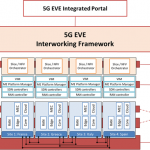 5G EVE will create the foundations for a pervasive roll-out of 5G end-to-end networks in Europe. 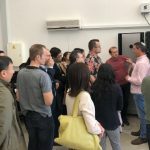 The project will do so by offering to all 5G experimenters a 5G end-to-end facility, which enables them to validate their network KPIs and services. 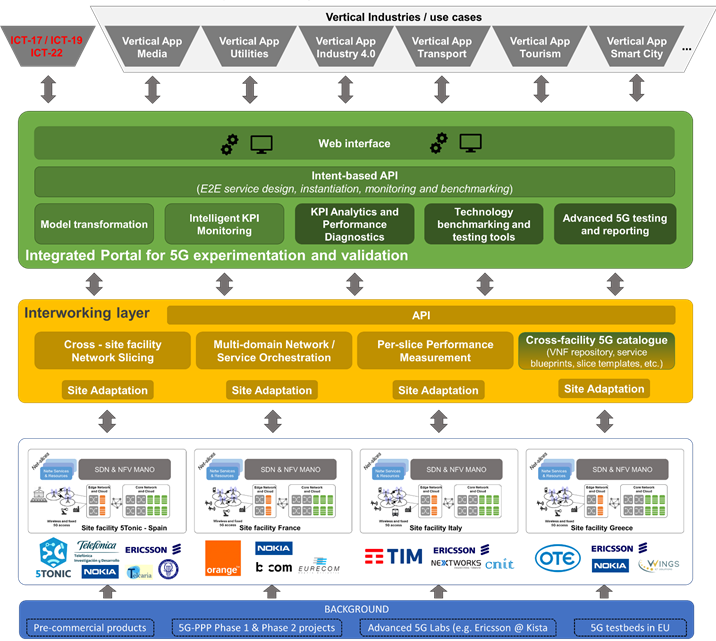 Providing reliable end-to-end 5G network solutions is crucial for all actors in the 5G value chain, including network operators and vendors as well as vertical industries and SMEs. 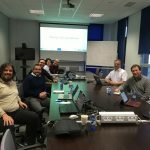 5G-EVE will develop and interconnect four existing European sites to create a unique 5G end-to-end facility. The four inter-working sites are located in Greece, Spain, France, and Italy. They are complemented by advanced labs, e.g. the Ericsson lab in Kista, Sweden. We will offer the facility to vertical industries for execution and validation of pilots. Access will be through a unified functional and operational API. The 5G EVE end-to-end facility will enable experimentation and validation with full sets of 5G capabilities. They will be initially Release 15-compliant, and by the end of the project they will be Release 16-compliant. Implementing Release 16 compatible technologies in the four sites, starting from the evolutions of current Release 15. Specific pilots will validate that 5G KPIs can be achieved. Designing and implementing site interworking and multi-x slicing/ orchestration mechanisms. Implementing a vertical-oriented open framework. 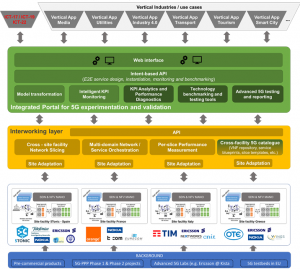 Creating an advanced 5G testing mechanisms to validate advanced 5G challenges.